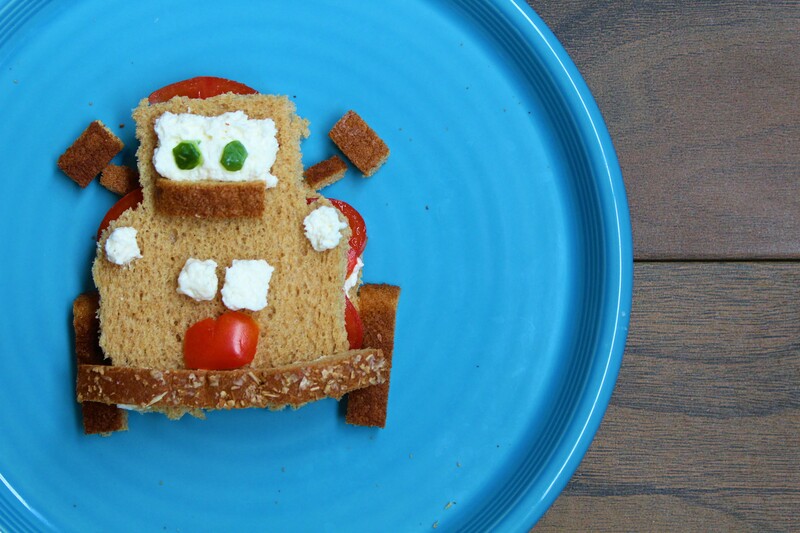 To celebrate National Sandwich Day, I made an easy and healthy sandwich for my daughter based on one of her favorite characters: Mater from Pixar Cars! This Mater Sandwich is actually a TOMATer sandwich! Use the crust of your bread for the bottom of his windshield, his bumper, tires, and side view mirrors. Spread whipped cream cheese and tomato slices inside your sandwich. Use whipped cream cheese for his windshield, teeth, and headlights. Cut two small circles out of a cucumber rind for Mater’s eyes. Use a tomato for Mater’s tongue.